Initiatives for the environment | Katoh Electrical Machinery Co., Ltd. Under our Mission Statement, “Building strong personal relationships through communication while imparting technology and knowledge”, Katoh Electrical Machinery Co.,Ltd. of the KATOH Group recognizes conservation of the environment as one of modern society’s key issues and, accordingly, value and respect environmental sustainability/conservation in all aspects of our operations. The KATOH Group develops, designs, manufactures, procures and markets unique slide function technology products such as hinges for notebook PC's, copy machines, cellular phones, television stands and digital video cameras. As such, our business continuously operates in ways that help preserve our limited environment and resources. To establish a system that assesses the environmental impact of our operations, and to continuously improve and endeavor, where economically viable, in the prevention of environmental pollution. To rethink the environmental impact of the designing stages of our products, even if it is thought to be impossible, we will to the best of our ability continually endeavor to eliminate operations that have detrimental impacts. We recognize that the grease-free hinge, in particular, is a very important matter and we are fully committed to making it a reality. To respect the environmental laws and further requirements that the KATOH Group has accepted. Promote efficient use and proper control of waste matter. Carry out exhaustive production training with the ultimate goal of eliminating the incidence of defective goods in the manufacturing stage. 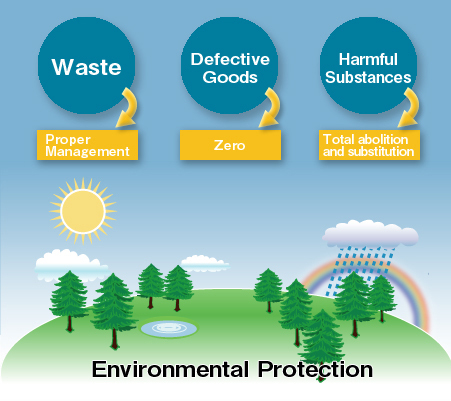 Prevent pollution through proper control, clarify which substances are slated for total abolition and which harmful chemical substances are prohibited, and consider the overall process from the design stage to the use and disposal of products. All employees and associates of the company will receive comprehensive training to ensure that they understand these principles, so that we can effectively execute this environmental policy. Moving forward, our policy will also be available to the public when necessary.